Megan Mullally Sounds Pretty Damn Sure About The PARTY DOWN Movie | Birth.Movies.Death. 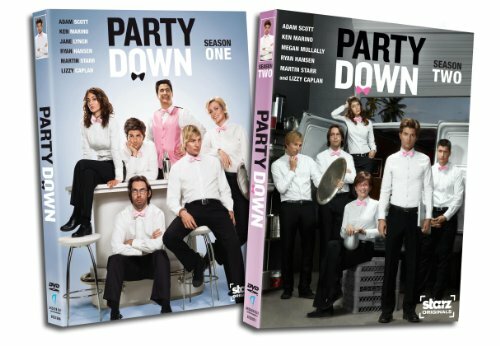 Mullally confirms the PARTY DOWN movie; cautiously optimistic fans cautiously rejoice! While promoting Breaking In at the TCA winter press tour, Megan Mullally sounded entirely confident about the prospects of a Party Down movie. She said that writer John Enbom is working on the script right now and that the entire cast, with the possible exception of Jane Lynch, will return. Mullally said Enbom's outline for the script was "enthusiastically approved" by the folks with the funds, and that we will get to meet Ed, the racist, sexist ex-husband of Lydia (Mullally's character). I generally feel pretty listless at the prospect of a reunion movie for any of my favorite prematurely canceled television shows. They often never come to pass no matter how frequently they're teased, and if they do, it's a pale, tired reflection of whatever made the series great in the first place. I love where Party Down ended; the promise of Henry (Adam Scott) finally going in for an audition, regardless of whether he gets the role, makes for a lovely, optimistic note. Casey (Lizzy Caplan) regains her own confidence when she sees Henry taking a risk. 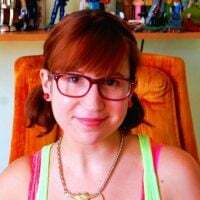 Ron (Ken Marino) is happily in love with someone as goofy and well-meaning as he is; Constance (Jane Lynch) is a hella rich widow and Kyle (Ryan Hansen), Roman (Martin Starr) and Lydia are still spinning the same silly wheels. All of that said, I think more story could be told in the Party Down universe. John Enbom is a great writer and by all accounts, the actors still care deeply about their characters. The show only has twenty episodes total, ten hours of a universe that worked like a charm and a cast with more combined chemistry than I can remember seeing in any other ensemble for years. I can't help but be excited about this news; here's hoping the movie deserves the title Party Down.